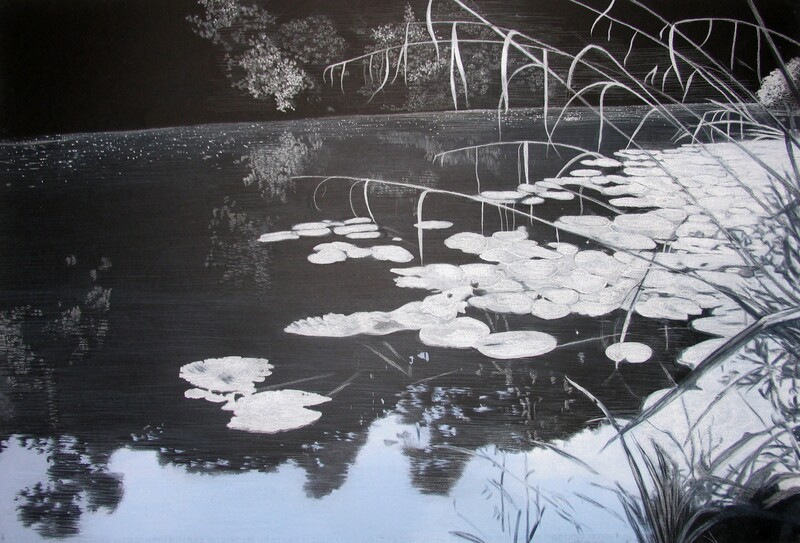 Sheila Clarkson’s observations of light in the natural world are complemented by the delicacy of her chosen medium. 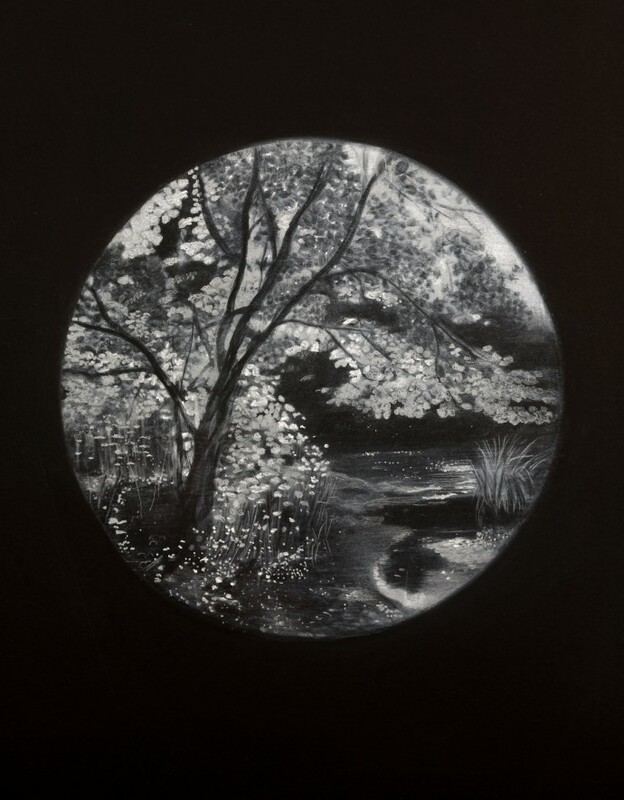 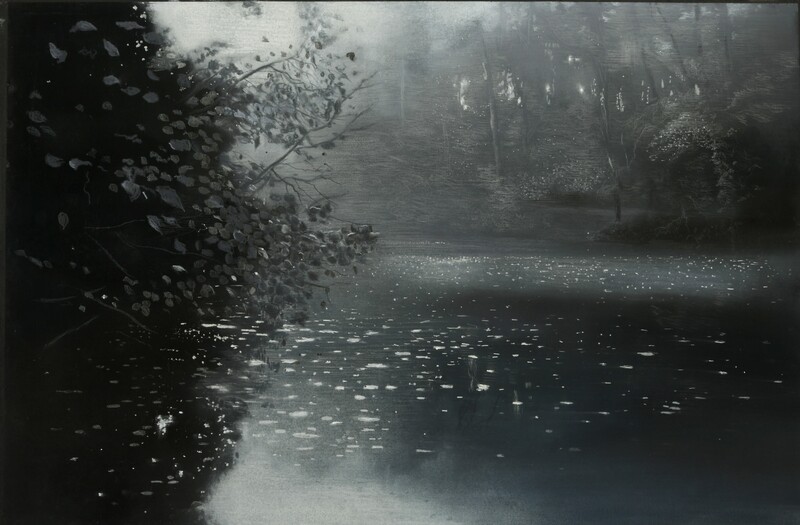 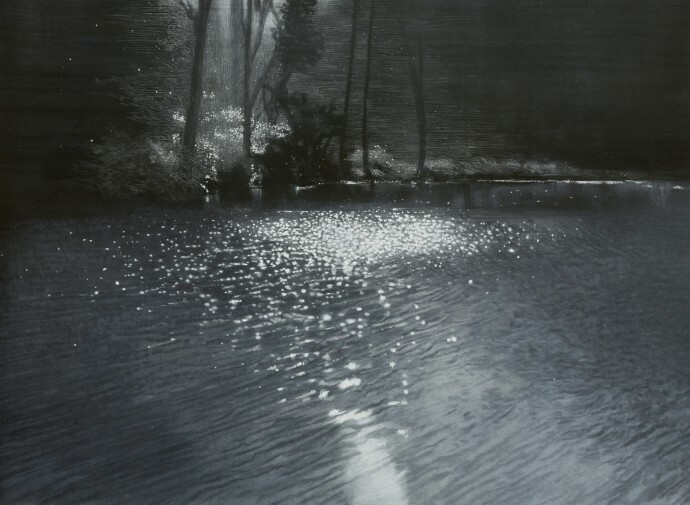 Using white pastel on black paper, the artist chooses to pick out the light in each composition, rather than beginning with white and working in the shade. 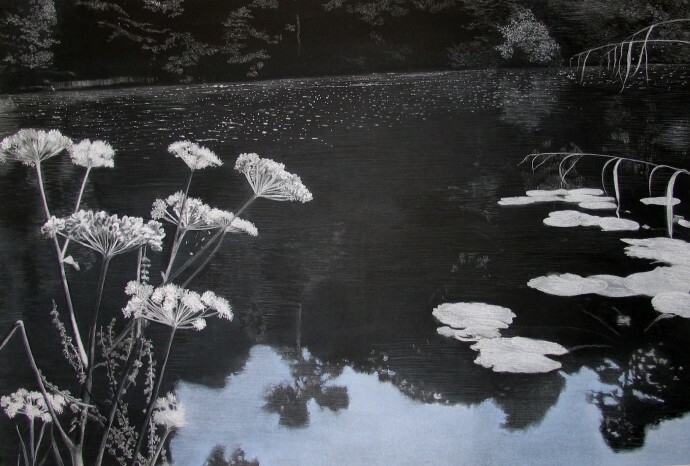 Her latest series of drawings focuses on Abbot’s Pool, a historic collection of fish pools once frequented by the mediaeval monks of St Augustine’s Abbey, now Bristol Cathedral. Set back from the hum of motorway and the everyday world, its shaded corners provide Clarkson with her greatest moments of illumination. 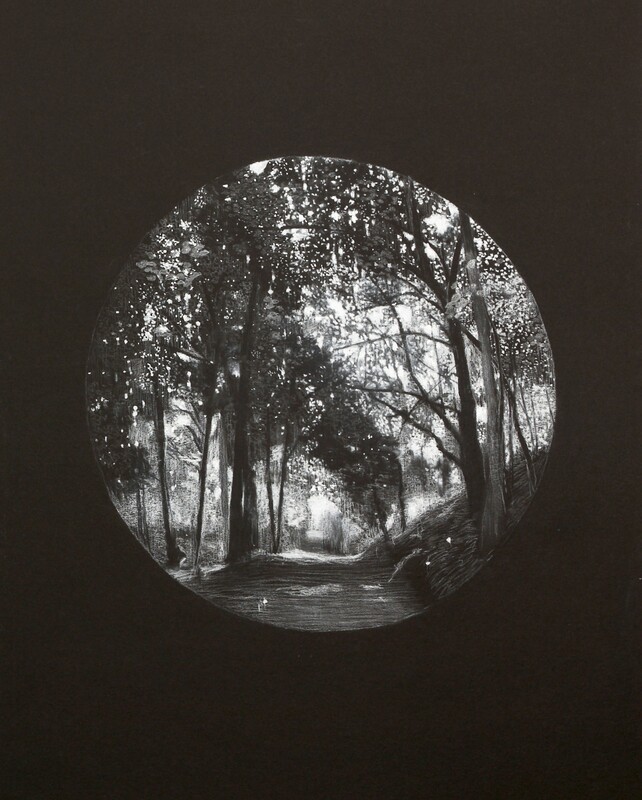 A Fine Art graduate, Clarkson has exhibited her work in the Royal Academy Summer Exhibition, the A4 Printmakers Open International Print Competition and The Royal West of England Autumn Exhibition, where she was awarded the St Cuthbert’s Mill Prize. 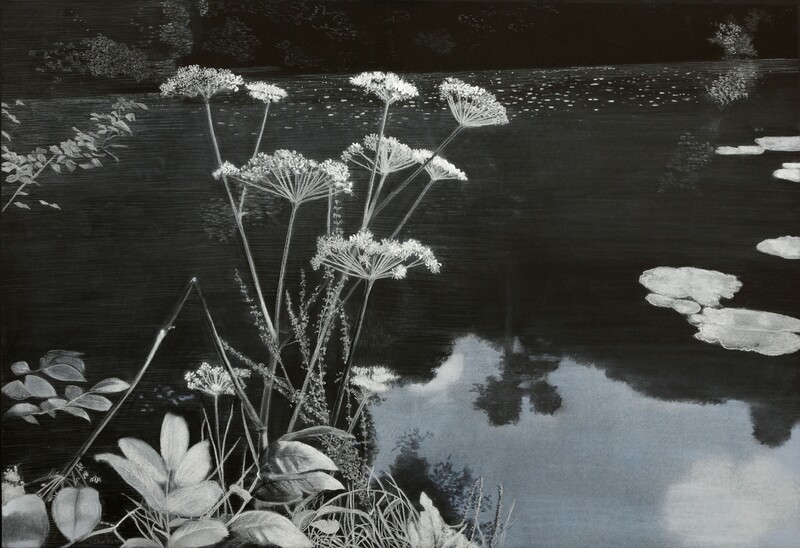 The exhibition title taken from Emily Dickinson's An Everywhere of Silver, this is Clarkson's first solo show at the gallery.